Sahil Johnson Released His Second Single Track "Khayal"
Chandigarh 30th June:- The young singing sensation Sahil Johnson released his single track- Khayal- during a press conference at Press Club Chandigarh. This song is released by Folk studios and Sabi Sanj. Lyrics of this very romantic song are written by Balkaran Nagra and, Shamsher Kodha and Balvinder Thind are the producers of this song and Hans is the music director. On this occasion the entire team of the song was present at the conference. The video director of this song Aman Saini also informed the media that the costumes of the song song are designed by Studio Genesis and Karan Ghuman. This song will be available on all popular digital stores and will also be telecasted on all popular TV channels. The young singer Sahil Johnson said that he was born in Chandigarh and is currently living in Amritsar with his family. He is pursuing his graduation in music from S N College in Amritsar and inorder to learn minute details of music he is also learning music at Gurmeet Bawa Academy. He sung his first song-Roti- along with his father. He said further that for the last five years he is the field of music and his only focus is good singing. In his interaction with the media he told that the youth is deviated towards all sort of wrong things and in such a society he wants to make a place for himself through good singing, though it is a difficult task but there are many Punjabi singers who have done this and his aim is also to do the same. Big FM Announces Season 5 of Iconic Show 'Yaadon Ka Idiot Box with Neelesh Misra"
Chandigarh 30th June:- 92.7 BIG FM, one of India's largest radio networks brings back Yaadon Ka Idiot Box with Neelesh Misra an iconic show that truly pioneered the storytelling genre on radio. Captivating listeners with enchanting tales for the last four successful seasons, the show has been an absolute favourite not only with the audience but also among advertisers across categories.Narrated by magician storyteller Neelesh Misra, who has the knack of creating a theatre of the mind experience for listeners,Yaadon Ka Idiot Boxis all set to raise the bar in its fifth edition and provide a premier storytelling experience to the audience. Airing across 53 stations, the latest offering will feature regular people's extraordinary stories and is slated to go on-air from 2ndJuly 2018 on weekdays between 10 pm-11pm. On the launch of Season 5 of Yaadon Ka Idiot Box with Neelesh Misra, Asheesh Chatterjee, Chief Financial Officer, Reliance Broadcast Network Limited said that Yaadon Ka Idiot Box with Neelesh Misra has a huge brand recall and loyal listenership across the network. It is a show that creates a huge impact for brands and is a great opportunity for us to present unique clutter breaking solutions for advertisers. We are already in talks with brands for long-term deals with integrated offerings, bundled FCT and digital spikes for the show. Speaking about Yaadon Ka Idiot Box with Neelesh Misra Season 5, Sunil Kumaran, Country Head, Thwink BIG said that the format of the show coupled with Neelesh's exceptional style made for a formidable combination in creating one of the most engaging and first-of-its-kind offerings on radio. Neelesh is one of the best orators in the country and he brings his distinctive style to the show. Given its innate popularity, the show has been well received and will continue to serve as a beneficial offering for all the stakeholders involved. The new season will be a reflection on the transformation that India is going through as it leaps ahead on the development path.We are confident that the show will set new standards in radio listenership. Talking about his association with BIG FM and Yaadon Ka Idiot Boxwith Neelesh Misra Season 5, Neelesh Misra said that BIG FM is probably the only network that had the conviction to take a risk of launching a storytelling show on radio, when we first introduced Yaadon Ka Idiot Boxwith Neelesh Misra back in 2011. With their absolute belief in the format and the network's reach, BIG FM did complete justice to the show. He is glad be a part of the BIG family once again as we look to bring back Yaadon Ka Idiot Boxwith Neelesh Misra. Chandigarh 30th June:- This was the day dedicated to felicitation of High couture fashion as Designer Duo Ajay SIinha and Buzy were bestowed upon with prestigious award for being best designers in high couture fashion. Beautiful Bollywood actress Tanisha Mukherjee gave away the coveted award to designers. Ajay Sinha and Buzy after receiving the aware quoted that they are overwhelmed to receive this prestigious award and happy the way our collection has received incredible response. Award marks success of our recent collection and propels us to present fashion trends and designs that boast of high class fashion. Occasion also witnessed grand showcasing of fashion show that exhibited trends and styles for high couture fashion. Beautiful Tanisha congratulated the designers on receiving the award and looked stunning in designs created by Buzjay Fashion Studio. Chandigarh 30th June:- Chandigarh based 60 years old Rashmi Sabharwal won the 'Super Classic" title at the recently concluded Mrs India Punjab 2018 beauty pageant held at Zirakpur. 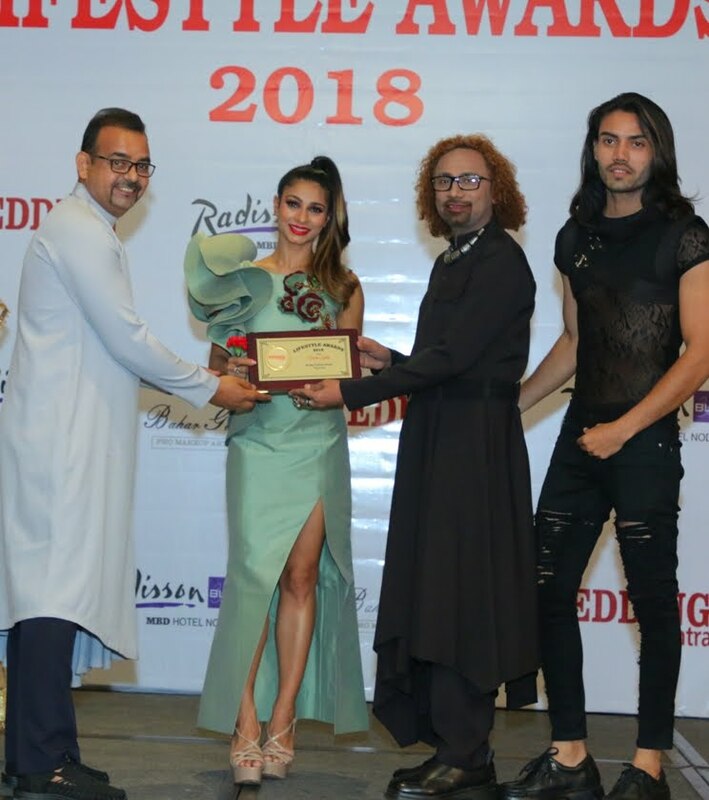 The event was organised by Mrs India Pageant and Production which witnessed the overwhelming response from beauties across the state at the grand finale. Rashmi Sabharwal will have an opportunity to represent Punjab at the Mrs India Beauty Pageant which is scheduled from 26-30 July, 2018 at Chennai. While interacting with media in a press meet Rashmi Sabharwal said that she born in Delhi but travelled across the country with her husband retired Col. VK Sabharwal, she now runs Mind Swift Academy. She shared further that at the age of 60 when people prefer to sit leisurely, she balances her office well along her other passions which includes Salsa dancing, motivation talks, play enactments, writing for journals, mentoring, teaching and above all her active participation in beauty contests. MA English & B.Ed by academics, Rashmi has taught prestigious Army and other schools across the country. Her interest towards beauty pageant aroused during the Army days where AWWA used to conduct fashion shows. He inclination towards beauty pageant took an exciting note when she won 'May Queen' title at the DSOI, Chandigarh in year 2010. This couple has distinction to win four consecutive titles in their categories at the Rose Festivals. Rashmi said that she believes that if one's 'thought process' is young it remains leave you young. Chandigarh 28th June:- Cigna's (NYSE:CI) India business, Cigna TTK Health Insurance, a joint venture between U.S.-based global health services company, Cigna Corporation and Indian conglomerate TTK Group, today announced the appointment of Prasun Sikdar as its new MD and Chief Executive Officer following regulatory approval from the Insurance Regulatory and Development Authority of India (IRDAI). He succeeds Sandeep Patel, former MD and Chief Executive Officer, who will take over as Chief Strategy and JV Officer for Cigna and will serve as Director on the Cigna TTK Health Insurance Board. 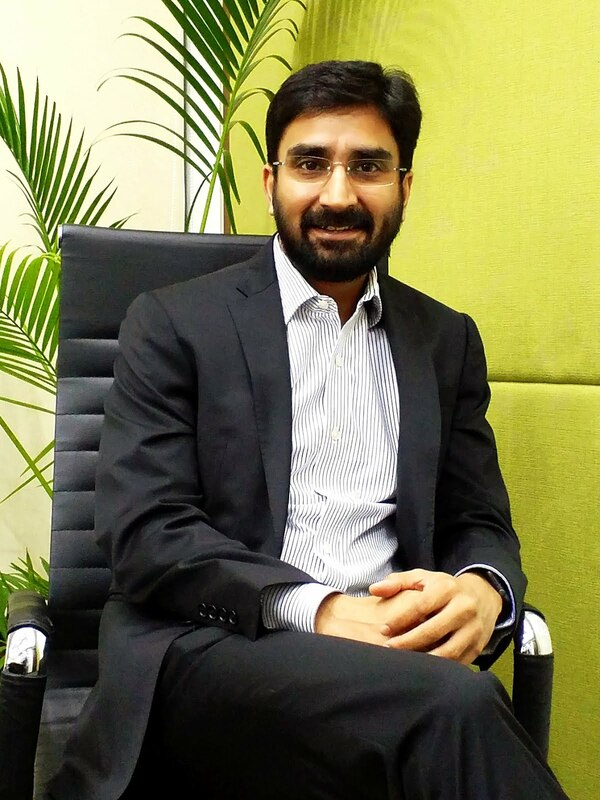 Prasun Sikdar will be responsible for building upon the company's already strong position in India. He will continue to focus on delivering innovative products and services to the company's growing customer base. With his deep experience in partnerships, he will also be working with the leadership team to further expand the company's distribution channels, while enhancing the brand and creating long-term value for the organization and its customers. Jason Sadler, President, International Markets, Cigna said that e are delighted to have appointed Prasun Sikdar as we continue to grow at a fast pace across India and deliver products and services to improve the health, well-being and sense of security of our customers. He is confident that his passion for innovation, as well as his rich and diverse experience, will add immense value and strengthen our market position in India. Commenting on his appointment, Prasun said that he is honoured to become part of the Cigna TTK family and am excited to have the opportunity to lead this respected organization. Health Insurance continues to be a fast-growing segment and he see tremendous opportunity for Cigna TTK to support access to health and wellness. He look forward to building a superior customer experience, delivering profitable growth for the organization and enabling the expansion of quality healthcare to millions of people in India. Pop-Singer Shael Releases Music Track "Koka"
Chandigarh 28th June:- Famous pop-singer Shael all set to soothe young hearts with 'Koka Kokaa'. Making a comeback with a remarkable Punjabi melody for all the music fanatics, Shael is eager to express his feelings for the beloved one and come up with a euphonious Punjabi dancing song which will melt your hearts. The song is composed by the vivid composer Vidyut Goswami and directed by Amarjeet Singh & Saavant Ghosh. His past passionate hits 'Jaanaa', 'Dil-Ki-Baatein', 'Abhi-Abhi', Zindagi', 'Hiriye', 'Teri Yaad Mein' and the evergreen 'Soniye Heeriye' received an overwhelming response from music lovers with his expressive musical notes. Shael's millions of fans are always curious for the musical & romantic treat which would take the music lovers to wander in dreams and 'Koka Kokaa' is no exception. This magical song is shot in the beauty of Newyork. Shael said that he sings mostly love songs, which connect to the young audience very well. He put his all efforts in one song. Shael said about himself, he is Ludhiana born singer, now settled in Singapore, keeps coming back to India for the sheer love of music. He started singing at an early age. Shael said singing reality shows provides a good platform for young and hidden talent. Shael is known for singing Hindi and Punjabi ballads and his Punjabi song Hiriye became the biggest hit of his musical endeavors. Chandigarh 27th June:- Knight Frank, the independent global property consultancy, today launched Active Capital: The 2018 Report. Looking at the shifts in capital flows, the report dives into the sources and destinations of cross-border investments in commercial real estate. India ranks an impressive 19th position amongst the 73 countries that attracted cross-border capital into their property market in 2017. With USD 2.6 bn of cross-border capital inflows (excluding development sites), India ranks ahead of its Asia Pacific regional counterparts like Malaysia, Thailand, Indonesia, Vietnam and Philippines, who collectively attracted lesser capital flows compared to India. 2017. USD 2.6 bn of inflow was recorded compared to outbound capital flows to the tune of USD 0.26 bn last year. Led by a battery of reforms like RERA, GST and demonetisation, the attractiveness of Indian real estate potential has caught the fancy of international investors and developers alike resulting into this favorable investment account. Compared to 86% share in 2016, United States, Canada and Singapore collectively contributed to 84% of capital inflows to Indian property followed by United Kingdom, United Arab Emirates and Hong Kong in 2017. Shishir Baijal, Chairman & Managing Director, Knight Frank India, said that cross-border capital inflows (excluding development sites) to India stood at USD 2.6 bn in 2017 recording a 31% growth over 2016. Ranking an impressive 19th position amongst 73 countries that attracted cross-border capital into their property market, India has surged ahead of its Asia Pacific regional counterparts which collectively attracted lesser capital flows compared to India. The changes in business environment brought by landmark reforms like GST and RERA besides others coupled with government impetus for affordable housing and an imminent possibility for REITs as an asset vehicle have infused confidence among the stakeholders of the Indian property market. In the latest four-year period (2014 – 2017), the inflows were over four times the outflows compared to the earlier four-year period (2010 – 2013) when they were at par. This highlights a paradigm shift in Indian realty's potential as an attractive investment avenue. Chandigarh 27th June:- There is nothing more valuable than having good health in our life, good health is the greatest blessing of life. Our favourite character Murari from Sony SAB's Jijaji Chhat Per Hain played by Anup Upadhyay will find out the importance of healthy living the hard way in the show. Jijaji Chhat Per Hain has been highlighting various social issues with a strong message for all its viewers. In the recent episodes, the viewers witnessed Elaichi (Hiba Nawab) fighting against eve-teasing. Now, in the upcoming episodes, the cast of Jijaji Chhat Per Hain will be seen dealing with junk food and maintaining healthy diet. Murari, is fond of kachoris and other fried and oily food and has been unknowingly harming his health. His unhealthy eating habits finally take a toll on him and Murari faints at Chhote Nai's shop. Elaichi takes Murari to the doctor where he mentions about Murari's health being bad and needs immediate care. Upset about the same Elaichi requests Murari to go on a strict diet to avoid such health issues. Karuna serves Murari oats which makes him irritable and starts to secretly eat junk food. While he continues to eat fattening food, he puts the blame on Pancham whenever Elaichi enters making Elaichi really mad at Pancham. Finally, the truth gets revealed when Elaichi and Pancham decide to get Murari on a strict diet regime. Later, Pancham falls sick where the doctor informs that though Pancham looks fit, he is very weak. Murari gets hit by this and decides to lose weight. In a conversation with Murari (Anup Upadhyay) he mentioned that fitness is the most important thing and he suggests every person should remain fit irrespective of having any health issues. We don't need to get a reality check from the doctor to get fit just like Murari did. It will be interesting to watch if Murari will be able to follow his strict fitness regime and will succeed in losing weight. Chandigarh 27th June:- The pop-bhangra singer Daler Mehndi's Tunak Tunak Tun was released in 1998, almost two decades ago. The track was an instant hit on release. It's music video India's first blue screen technology video, which allowed the singer to super impose his image over various computer-generated backgrounds. The music video was conceptualized by Daler Mehndi in retaliation to the media's comment that the success of his videos depends only on the glam models featured in his videos. So with 4 Daler Mehndi's and exquisite choreography done by Daler Mehndi himself the song became an instant HIT. Tunak Tunak won the prestigious RAPA Award, the Channel V Award, the Videocon Award, and The Screen Award. The song is the greatest grosser in non-film music in India to this day! Tunak Tunak, which was also adopted by the World of Warcraft community, became an internet phenomenon. A single copy of Tunak Tunak on Youtube has broken all the records with almost 90 million hits and 70 thousand comments and still increasing. The epic track is still entertaining the world and creating milestones. Tunak Tunak is by far the only song in the world from India that has truly created a viral effect. The music critics and the music watchers of the trade call it India's first viral song. It became Viral when the term viral on internet did not exist. From a common listener who may be from any part of the world, Tunak Tunak has created and stuck on to its audience. Love showered by the global Aisec community, world of Warcraft, fans in Korea, Germany, Russia, Poland, International DJ's like Slushi and Deadmau5 have all been engulfed in its power. From Jackie Chan in China to Bollywood actors in India, Music Bands like BlackPink in South Korea, public personalities like Super woman, RedBaraat, WWE superstars, to BBC, International radio stations in Belgium doing a marathon on Tunak Tunak, to the Malaysian woman police dancing, to high school dance finales in the US and Canada, to mobile corporate like Mi public ally celebrating their personal milestones with Tunak Tunak... the song has something for everyone. In his own words Daler Mehndi who is the author, composer and owner of the song and ideator of its video said that it is a song which is a communication between a yearning soul and it's beloved - which is God. It's playful, energetic, positive and entertaining. It represents 5 elements of which a human is made- Earth, Water, Wind, Fire and Ether. The 5th element 'the ether-depicted by a Mini Daler Mehndi' was shot but somehow could not get incorporated in the final video. He has done very limited work throughout his career and most of them have created history. It is very humbling and very inspiring. Daler Mehndi said that he is glad that artists like Deadmau, Slushi and now BlackPink have performed his song. It shows the Love, the Universe and the Divine are showering upon Tunak Tunak,". 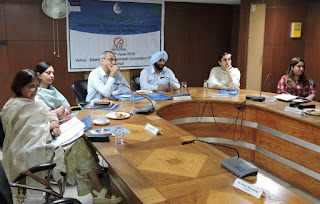 Chandigarh 27th June:- TRA Research, a brand Intelligence and data insights company, also the publishers of TRA's Brand Trust Report, an annual syndicated research conducted among nearly 2500 consumer-influencers across 16 cities in India. A comparison of the Brand Trust Indices of the most trusted 100 brands of 2016, 2017 and 2018 of the report makes a significant observation. Between 2016 and 2017, the demonetization year, the consumer trust plummeted 19%. Equally noteworthy is that the consumer trust has recovered to early 2016 levels, having gained 15% on trust scores between 2017 to 2018 - bringing trust back to within a 1% of early 2016 Brand Trust Index (BTI) levels. TRA's Brand Trust Report uses their proprietary matrix of 61 intangible trust attributes to understand consumer mindset and behavior. N. Chandramouli, CEO TRA Research said that in one stroke, the November 2016 demonetization eroded consumer trust by a fifth; with direct trust losses seen in small and medium businesses, with a cascading impact on all citizens. However, over the last year, consumer trust has recuperated, to within the early 2016 levels. Consumer trust is a reflection of the confidence that the consumer displays towards transacting showing confidence and readiness to transactions if conditions turn right. He said further that unless our institutions corporate, banks, government – tap onto this consumer readiness, their fragile trust due to repeat 'shocks' is likely to dip again with lowered risk appetite, especially taking into consideration that it is a pre-election year. Chandigarh 27th June:- Godrej Consumer Products Ltd. (GCPL) in its on-going endeavour to innovate and provide the best of hair solutions to Indian consumers has entered the professional segment with the launch of a new brand: Godrej Professional. Ketan Takalkar, Associate Vice President - Godrej Professional, Godrej Consumer Products Limited (GCPL) unveiled the much awaited professional hair offering. Talking about the launch, Ketan Takalkar, Associate Vice President-Godrej Professional, Godrej Consumer Products Limited (GCPL) said that given our hair category presence and know-how of Indian hair, entering the professional hair space was the next most obvious move. We are proud to launch of Godrej Professional, a full range of scientific color, care, finish, backwash and technical products, all specifically created for Indian hair. With this launch we have a larger objective in mind, which is to elevate the 'Salonists'. With industry stalwarts, we have put together a refined skill education academy, which will be made available to Salonists 24x7 through an app. Adding to this, is the first ever social platform for the Salonists to share work and establish themselves in the industry inbuilt in the app. The Godrej Professional offering of world-class products, skills and sharing opportunities, will take the entire salon business to the next level. Godrej professional is the first Indian hair professional range developed in partnership with the Indian hairdressing industry tested and certified by the Salonists and Scientists alike. Some of the best minds in the hair industry like celebrity hairstylist Ryan D'Rozario, Sylvia Chen and Asha Hariharan among others have worked closely with the brand development team of Godrej Consumer Products Limited to create this exceptional range of products. Color retention and 100% grey coverage, with the power of Argan oil for healthy hair. The 'Colour Play' range of hi-lift color formulations bring about brilliant colours with intense, visible results on dark Indian hair. Chandigarh 26th June:- Keeping his commitment of doing his best to get noted literary personalities the due recognition, the Cultural Affairs and Tourism Minister, Punjab, Navjot Singh Sidhu has made a strong case for conferring the nation's second highest civilian honour 'Padma Vibhushan' on eminent Punjabi litterateur Jaswant Singh Kanwal. Disclosing this here today, an official spokesman said that Navjot Singh Sidhu has in a written communication to the Prime Minister recommended the name of Jaswant Singh Kanwal for the above mentioned honour besides also arguing strongly for the issuance of a postage stamp in the honour of this literary doyen. Calling Mr. Jaswant Singh Kanwal a precious gem of Punjab, Navjot Singh Sidhu said that honouring such eminent sons of Punjab is an honour in itself. Meanwhile, it is worthwhile to mention that the Tourism and Cultural Affairs Department in league with the Punjab Kala Parishad today felicitated Jaswant Singh Kanwal, who would be turning 100 on 27th June, at his residence in village Dhudike in District Moga in the presence of the Chairman of the Punjab Kala Parishad Padmshri Dr. Surjit Patar, Secretary General Dr. Lakhwinder Johal, Media Coordinator Ninder Ghugianvi, Satnam Manak, Balbir Parwana, Pammi Bai, Kewal Dhaliwal, Deewan Manna, Baldev Singh Sadaknama, Dr. Rajinder Pal Singh Brar, Pargat Singh Satouj, Baldev Singh Dhaliwal, Dr. Surjit, Jaswant Zafar, Harmeet Vidayrathi, Tarsem, Deepak Sharma Chanarthal, Satwinder Kaur Kussa, State Information Commissioner Nidhark Singh Brar and Surinder Kailey. It is also appropriate to mention that Navjot Singh Sidhu could not make it to the function at Dhudike village today owing to an important meeting convened by the Chief Minister, Captain Amarinder Singh at Chandigarh. In the absence of Navjot Singh Sidhu, the Chairman of the Punjab Kala Parishad Dr. Surjit Patar conferred Jaswant Singh Kanwal with the 'Punjab Gaurav Puraskar'. The award contained Rs. 1 lakh, a shawl and a citation. Chandigarh 26th June:- Putting an end to the wait of his fans, the much revered singer, actor and lyricist, Gurdas Maan is all set to return to the silver screen on 6th July in a film titled – 'Nankana'. Gurdas Maan's Nankana is a period film that will also feature Kavita Kaushik and Anas Rashid in pivotal roles. The film is produced by 'Shah An Shah Pictures' in association with Seven Colors Motion Pictures. Nankana is the story of Karm Singh, who despite all odds and unfavorable atmosphere of the troubled period between 1941-47 in Punjab, does not let go of his belief in humanity and love. Thus, with this conviction of his, he does his level best to change the surroundings. The tagline of the movie 'Above The Religion' clearly depicts that the plot talks about Humanity above everything and anything in life. The film is directed by Gurdas Maan's wife Manjeet Maan. Manjeet Mann said that this is her third movie as a Directror and she has always loved all her projects but this movie is very special and very close to her heart. 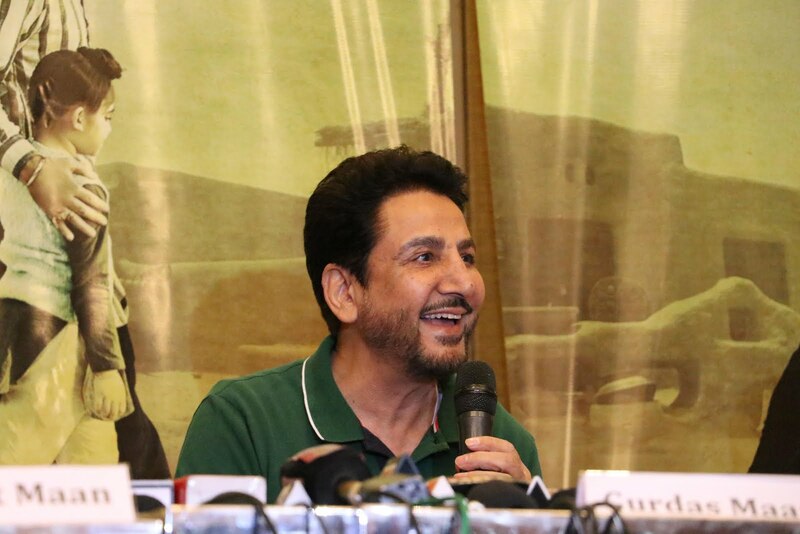 While speaking in a press meet, Gurdas Maan expressed his delight to work in a project that he said was extremely close to his heart. "Nankana is a film about human compassion and values, and is an attempt to establish the trust of people back in the power of humanity and love. Faith in the Almighty can move mountains and unconditional love can melt even an enemy's heart. Expressing his thoughts on Nankana, Jatinder Shah said that he has a very personal and close relationship with Gurdas Maan Having him work in our movie was a dream, which has finally come true. This film is not just a film for him, but a very emotional event of his life. Pooja Gujral, the producer of the movie, who has also penned down the story, said that it's an absolute honour for her to work with a legend like Gurdas Maan. We, as producers, have tried our best to give clean and meaningful cinema to the Punjabi audience. Sumeet Singh, the Co-Producer of the film also added that we at Saga have done and released so many films by this time but "Nankana" carries a special place as its concept and content will move the audience emotionally. We are quite enthusiastic to be associated with this kind of project and happy to release this film worldwide. The film has five songs in total which have been written by Gurdaas Maan and Fateh Shergil and are sung by none others than Gurdass Maan, Jyoti Nooran and Sunidhi Chauhan. Chandigarh 26th June:- The Drug De-addiction and Treatment Centre (DDTC), Department of Psychiatry, PGIMER, Chandigarh received the prestigious National Award as an "Organization of Excellence" for its Outstanding Services in the field of Prevention of Alcoholism and Substance (Drug) Abuse, as the best institute under the category "Best Research and Innovation". The award was conferred by the Ministry of Social Justice and Empowerment, and it was presented by Ram Nath Kovind, the Hon'ble President of India, at an official function held in Vigyan Bhawan, New Delhi, on Tuesday, 26th June, which is the International Day Against Drug Abuse and Illicit Trafficking declared by the United Nations. On behalf of the Institute, the Award was received by Prof. Ajit Avasthi, Head, and Prof. Debasish Basu, from the Department of Psychiatry. Prof. Jagat Ram, the Director of PGIMER Chandigarh, was very glad to hear the news and he congratulated the entire team of DDTC for the hard work over the past 30 years to make it truly deserve this national award. Earlier, the DDTC was declared a Centre of Excellence by the Ministry of Health & Family Welfare in 2013. Starting with a humble beginning in 1988-89, over the past 30 years the DDTC has intensively pursued its mandate of demand reduction, creating trained manpower for primary to tertiary care, and conducting high quality innovative research covering a wide range of areas in the field of addiction psychiatry. DDTC faculties have received accolades from the State Governments, National and International agencies, for their sustained contribution in the field of addiction psychiatry. In fact, DDTC was the first in the country to have started the super specialty course DM in Addiction Psychiatry from January 2014. It has provided important consultancy, technical input, training of professionals, and a comprehensive model of de-addiction services (the "Punjab Model") that is being implemented by the Govt. of Punjab. Its future vision is to further enhance the capacities of specialist training, more community-grounded service, and cutting-edge research in the field of addiction psychiatry. Chandigarh 26th June:- SHAREit, a leading one-stop content platform, is constantly aiming to provide its users with an array of content ranging from regional movies to bollywood music and so on. To add to this SHAREit has now joined hands with Speed Records, world's largest Punjabi music label. With the alliance, SHAREit has also acquired exclusive internet rights for 2 years of the Punjabi movie Sajjan Singh Rangroot starring Diljit Dosanjh superstar of the Punjabi film industry. SHAREit is building a digital ecosystem where consumers across geographies in India can discover, consume, and transfer content through a single platform. In a span of two month, SHAREit has signed deals wit many content aggregators. SHAREit recently acquired South Indian movie app Fastfilmz, collaborated with Times Music, Comedy One with an aim to provide a plethora of content to all the consumers. These partnerships with all the local content generators and aggregators have been finalized in order to become the largest source of entertainment for all their users in India. Commenting on the partnership, Jason Wang, Managing Director, SHAREit India, said that to win India, the company needs to reach out to a wide userbase which lies in the Tier 2 and Tier 3 cities. These consumers prefer consuming content in regional language as they can easily connect with it. We understand the requirements of our consumers are partnering with local content aggregators to be able to deliver quality content to our consumers. Our collaboration with Speed Records will help us put a strong foothold in the Punjabi market and help in increasing our userbase. Satvinder Kohli, MD, Speed Records also commented on the collaboration said that we are totally excited to collaborate with SHAREit, with the proliferation of some many platforms in the market, it is feasible for the user to discover content now and the kind of base SHAREit enjoys, it's viable to our content. we are excited and full of zeal to transform the partnership into a big game changer. Speed Records vision is always entertaining more people with our music and movie and this partnership is just an extension of it. Chandigarh 26th June:- With FIFA fever taking over the masses, Snapdeal has today announced the launch of its special FIFA store to add to the excitement of its customers while also bringing the FIFA experience alive. The specially curated store brings all the products that a football enthusiast would love to have while they watch their favorite teams up on the ground. This store offers amazing fan merchandise like flags, T-shirts, posters, and laptop skins along with other products ranging from footballs of different sizes, track pants, duffle bags, caps, towels to television sets, recliners, and projectors. Snapdeal Spokesperson said that the football aficionados are ready for FIFA 2018 and so are we. Snapdeal's FIFA store is sure to add more zeal to this season's world cup as we have added some exciting products to our FIFA store which will be a one-stop shop for all football admirers. Chandigarh 25th June:- The Vogue Wedding Show, India's most exclusive luxury wedding exhibition, is all set to return for its sixth year in August with actor Kangana Ranaut as the face of the flagship property. Held in partnership with Taj Hotels Palaces Resorts Safaris, the sixth edition of the specially curated, sought-after event will feature some of the most premium and recognized category leaders and services from the Indian wedding circuit. Poised to be grander and bigger this season, the Vogue Wedding Show 2018, to be held from August 3-5 2018 at Taj palace, New Delhi, will offer guests the opportunity to make selections for their dream wedding. To get invited to this 'by invitation only' luxury exhibition, one must register on www.vogueweddingshow.in or call +91 9820604936 or +91 9820260913. Apart from being the only place where attendees can enjoy personal meetings with India's topmost wedding couture designers like Manish Malhotra, Sabyasachi, Tarun Tahiliani, Anita Dongre, Shantanu & Nikhil, Gaurav Gupta, Rahul Mishra, JADE by Monica & Karishma, Falguni Shane Peacock, and Shyamal & Bhumika, the Vogue Wedding Show 2018 also offers guests the exclusive opportunity to meet with wedding specialists, India's finest jewellers, trousseau gifting brands, and wedding planners. The attendees of the Vogue Wedding Show 2018 get the chance to attend exclusive masterclasses and interact with an enviable line-up of industry experts. These include a workshop on styling, where celebrity style mentor and Vogue India's Fashion Director, Anaita Shroff Adajania, will share contemporary style tips and advice for brides and grooms. In her masterclass, skin-care specialist Dr. Harshna Bijlani will give tips and talk about techniques to get that glowing, flawless skin in her session. Make-up specialist Namrata Soni will break down facts and myths, and will instruct attendees on how to wear make-up that's ideal for all kinds of bridal looks. Celebrity hairstylist Rod Anker will take guests through a step-by-step process underlining the need for personal and professional hair care, complete with an on-stage demonstration. Wellness professional Sumaya Dalmia will tell brides-to-be how to look and feel their best through fitness and healthy living. Besides these, there are various other masterclasses on bespoke services including few by a coterie of experts from the Taj Group. Speaking about the Vogue Wedding Show, Priya Tanna, Editor-in-Chief, Vogue India, said that for the sixth edition of our three-day long wedding showcase, we have again brought together a select gathering of experts, brands and services to create the wedding of your dreams. From the country's leading wedding wear designers, stunning jewellery brands to masterclasses conducted by renowned industry experts in hair, make-up, skin, beauty, nutrition and wellness, Vogue Wedding Show 2018 is a ready reckoner for every bride and bridegroom to be. 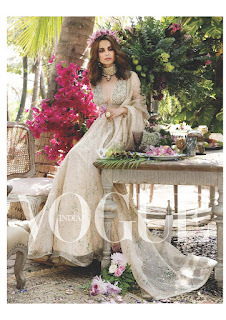 On being the face of the 6th edition of Vogue Wedding Show, Kangana Ranaut said that it's totally incredible to be the face of the 6th edition of the Vogue Wedding Show. She had a great time shooting with all the gorgeous outfits and jewellery and if the roster of the main event is anything to go by, this is a definite must-visit for everybody with a wedding on their mind. For the Vogue Wedding Show 2018, Vogue India has handpicked some of the best jewellers across India to showcase some spectacular wedding jewellery, with leading names like Anmol Jewellers, Birdhichand Ghanshyamdas, Farah Khan Fine Jewellery, Hazoorilal by Sandeep Narang, Hazoorilal Legacy, House Of Surana By Pankaj Surana, Jaipur Jewels, Amaya by Kantilal Chhotalal, Khanna Jewellers, Occasions Fine Jewellery, Raj Mahtani Couture Jewels, Rare Heritage, Renu Oberoi, Sunita Shekhawat – Jaipur, amongst many others. Also, a dedicated space will house a 'Sari Pavilion' comprising sarees from different regions of the country such as Naina Jain, Palam Silks, Ratanshi Kheraj Sarees, Latha Puttanna, and Vani Anand. For gifting and trousseau ideas, and for wedding related facilities that are luxurious and original, brands like Ahujasons, Creative Cuisine Inc. (CCI), Fabelle Exquisite Chocolates, Foodhall, Katalyst, Malta Tourism, Ravish Kapoor Innovative Invitations, Shazé, Shingora, The Good Life Company (TGL Co.), and Wedniksha can be found at the show. Talking about the association with the Vogue Wedding Show 2018, Gaurav Pokhariyal, Senior Vice President, Taj -Delhi NCR & Rajasthan Hotels said that Resplendent venues at picturesque locations, sumptuous culinary experiences and legendary service - since its establishment, Taj has always been synonymous with signature wedding celebrations at exotic destinations. To infuse creativity into weddings, Taj Hotels launched the Taj Wedding Studio that brings to life the art of planning a dream wedding. Our partnership with Vogue for the Vogue Wedding Show over these six years is a step towards furthering our commitment in staying current and yet timeless when it comes to orchestrating that perfect wedding.